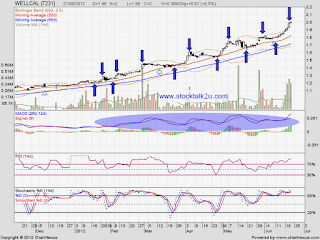 WELLCAL is forming non stop higher high & higher low. 21 June, it's closed @ RM2.00 psychology level. Will it break through? Or retrace down to support level? 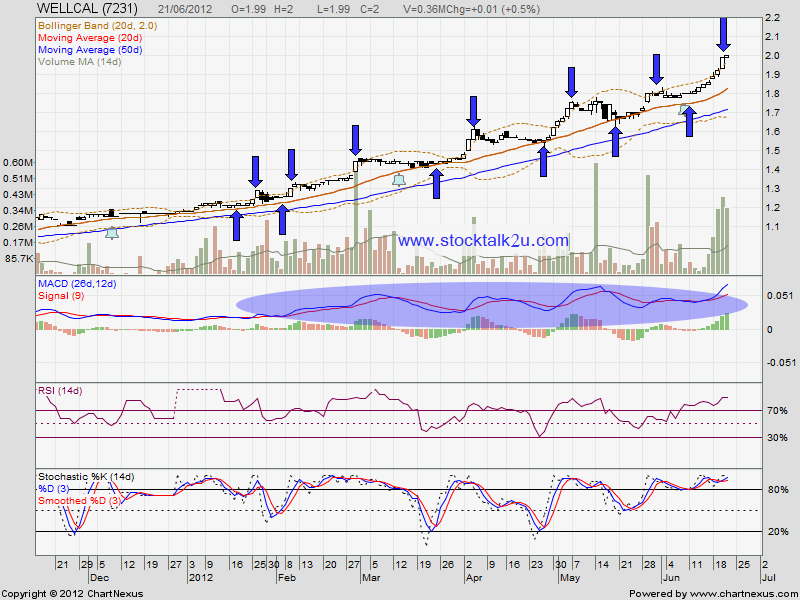 Immediate support @ RM1.82 or MA20 level.